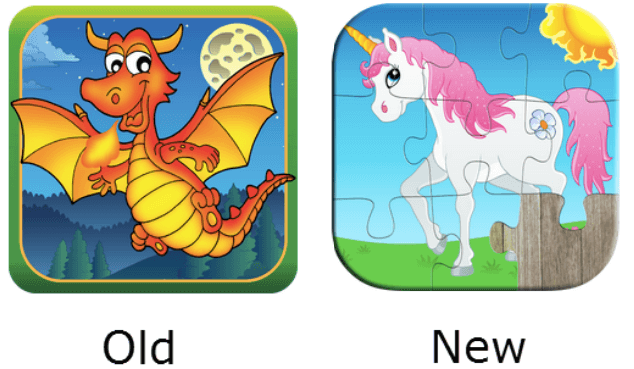 App Family Kids managed to increase the conversion rate of their jigsaw puzzle game Super Puzzle by 5%. What helped was the optimization of their Android app icon in the accordance with the preferences of the target audience and A/B testing. 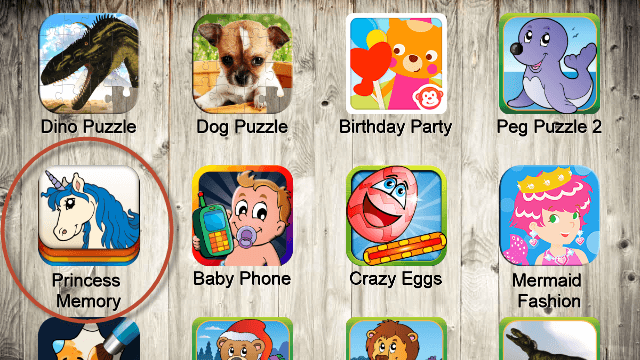 App Family Kids is a Swedish app publisher that specializes in Android puzzle games for boys and girls. Their apps are targeted at kids aged 1 to 10 years old and contain shaping puzzles, jigsaw puzzles, memory games and more. A while ago I built a jigsaw puzzle app – Super Puzzle. Designed for small children, it had sweet cartoon graphics and simple, yet intuitive interface. To polish the game I acquired professional translations for my App Store listing, crafted an appropriate promo image and android app icon. The game is free, and I did everything I could think of in terms of ASO. The conversion rate (the percentage of users who buy the IAP to unlock all the puzzles) was relatively high compared to some of my other applications. It is about 2.5% for the US in recent years, sometimes getting higher. I’m quite aware of the importance of constant experimentation with product page and decided to try something new with my android app icon. When I built a cross-promotion system in the form of the “More Games” page, its statistics showed that my other game, “Princess Memory” was one of the best apps in terms of click rate. Even if it was displayed ‘below the fold’, it was one of the most popular applications out of more than 20 android app icons. My assumption was that an Android app icon depicting unicorn was somehow attractive to my target audience. I changed my original android app icon to one with a unicorn. Surprisingly, my daily downloads, as well as daily revenue, doubled! I checked my demographic and found out that two-thirds of current users of the application are women. I don’t really know why it is like that but, I suppose, women might be more likely to download apps for their kids and give them their phone or tablet. Thanks to the new Android app icon, I managed to increase download by 5%. Encouraged by these results, I plan to test out borderless icon variation and keep on testing different designs. It is a great way to scientifically prove if you can drive downloads just by changing your android app icon. Tips of Per on ASO for Google Play. Optimize App Description for Google Play. Study the keywords your competitors are using, see if you can incorporate them into your description. Don’t waste app title characters on mentioning the brand. It’s better to reflect your brand in your android app icon. Even Disney does it, check their app product pages to see how it’s working. A/B test each idea for your android app icon. Find inspiration in the listings of top-performing apps in your category. You have to sacrifice the brevity of your app name for the sake of keywords mentioning. Try to be personal and respond to app reviews.